You are here: Home / Robot News / What is Legal With My Drone? The FAA has been busy releasing its interpretation of rules regarding drones after numerous recent incidents involving drones. While you still won’t require FAA approval to fly a drone, it has released a set of safety guidelines and also requests that you comply with the model aircraft regulations that were first released in 1981. If you are flying a drone, one of the most important safety aspects is that you contact the local airport operator if you’re flying within 5 miles of an airport. Of course this should be a no-brainer, as it would be catasptrophic if you collided with a passenger jet. But after a recent near miss in Australia, apparently drone pilots aren’t getting the message. 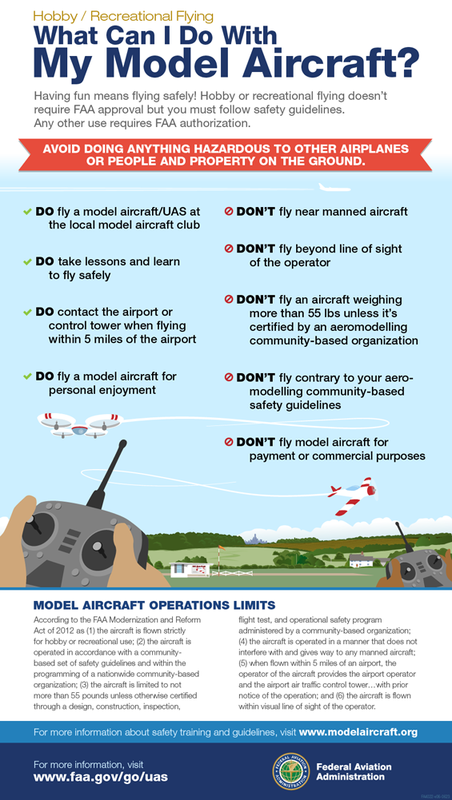 The FAA have also included a handy infographic on what you can and can’t do with your drone. I’ve included the infographic below.